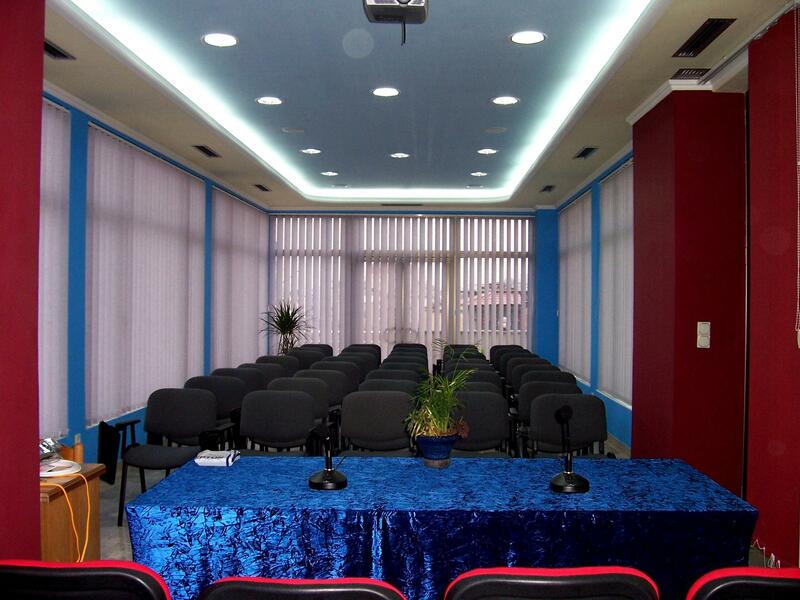 Our Hotel offers an elegant conference room with windows on each side and a view all over Tirana. The conference room has 40 seats, VGA, static and wireless microphones, and a projector with 6′ x 6′ screen. Refreshments are offered during meeting breaks.